10 Musical Things About Linda You Might Not Know! 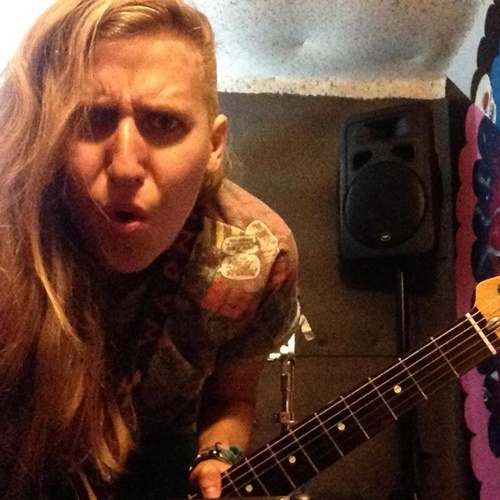 This month it's our loud and proud guitarist/noisemaker Linda's turn to be in the glare of the musical spotlight! So here are "10 Musical Things About Linda You Might Not Know!" First Record: pretty sure it was Backstreet Boys Millennium at the age of 9.... (proud of it). First Live Concert: Tina Turner 1996 - I was so little and I loved it. Musical Guilty Secret: I was obsessed with Coldplay until Mylo Xyloto. If I Wasn't A Musician....I'd be: ....without a job... * JOKES *. Travelling around the world. Music You Like We Wouldn't Expect: Tune Yards, Sylvan Esso... I guess Electronic Pop.